Posted by ayasawada in Manga, Personal. 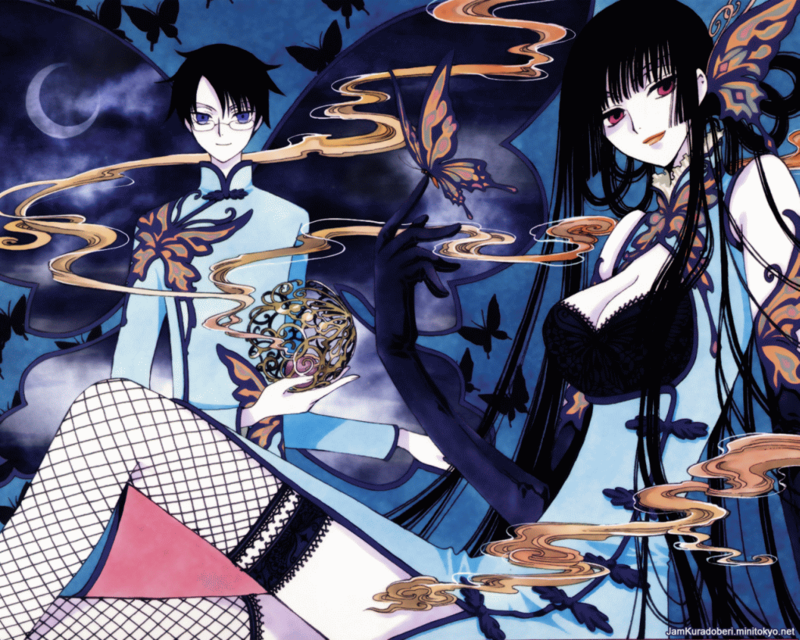 A couple of months ago, the last volume of CLAMP‘s long-running XXXholic was finally published in English. It brought to an end (of sorts) Watanuki’s journey from boy to man, from student to shopkeeper, and given that the series also happens to have perfectly spanned my working life to date, I can’t help but feel a bit of empathy. I started following XXXholic and its sister series Tsubasa Reservoir Chronicle back in the Spring of 2004. I happened to get my first proper job at a place round the corner from one of my favourite comic book stores (the brilliant Gosh! comics, then in Bloomsbury, now moved to bigger premises). Every lunchtime was spent spending my paycheck on numerous series, and having recently got into CLAMP’s works (like many, largely through a love of Cardcaptor Sakura and Chobits) I was excited to see these two crossover series, the debut titles from new publisher Del Rey, and so soon (relatively) after their debuts in Japan. Posted by ayasawada in Anime. Just watched the first episode of Geass’s second season. It’s pretty awesome — suddenly I’m excited about Geass all over again. It pretty much plays out like the first episode of the first season, and reminded me a lot of Buffy season 5, what with the sudden appearance of a new sibling like nothing had happened, the mystery behind all the characters nonchalance and Lelouch’s memory loss. But all seems back on track now that Lulu has regained his memory. I thought maybe they would have strung out that mystery a bit longer, but this is Geass after all, where plot moves at a ridiculous pace in incomprehensible directions. And I guess we still don’t know exactly what happened in the Lulu-Suzaku shoot out. I also really love the OP!